Only a day ago, Apple has released a patch for the operating system iOS 6.1, which has been previously identified vulnerabilities, allows potential attackers to bypass the lock screen and gain unauthorized access to your phone. Day before Apple announced that it has closed a loophole, but it is already appeared on the Internet video, which demonstrates an example bypass and upgraded security systems, however, this time you can only get access to a smart phone dialer and contact book. Now beat the system smartphone protection managed by extraction from SIM-card phones during an emergency call. True, the new trick works only on smartphones iPhone, which supports voice assistant Siri. In order to protect the owners of older models Phone and IPod Touch, that do not support Siri, should disable voice dialing, go to Settings: Settings > General > Passcode Lock. 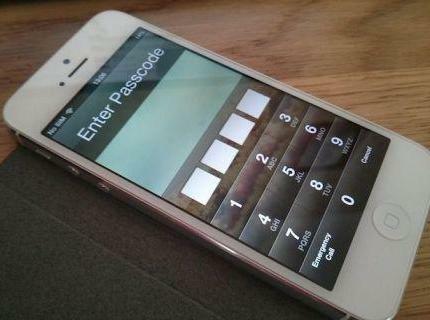 Owners of iPhone 4S or iPhone 5 should disable access to Siri from the lock screen: Settings > General > Passcode Lock. And now a little comfort you! This dangerous vulnerability was discovered not only in the Apple’s technique, but also on the Galaxy S4 from Samsung.